Three items. 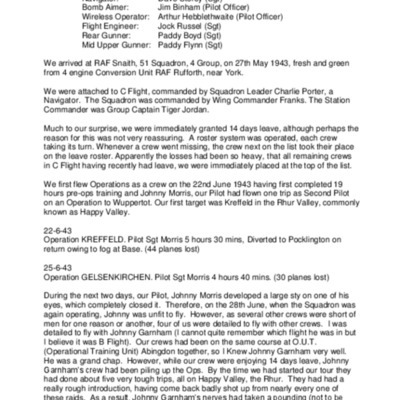 The collection concerns David Philip Storey DFC (1919 - 2018, 1334123, Royal Air Force) and consists of his log book, a photograph and a memoir. He flew operations as a navigator with 51 Squadron from RAF Snaith and then became an instructor at RAF Kinloss. 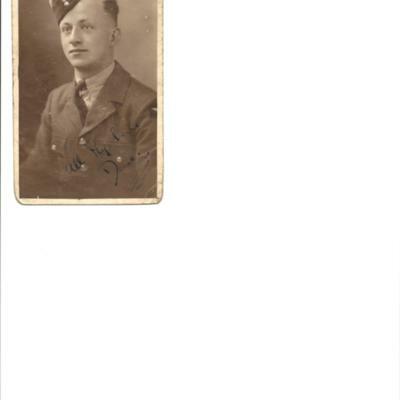 He was promoted to flight lieutenant in September 1945. The collection has been licenced to the IBCC Digital Archive by David Storey and catalogued by Barry Hunter.